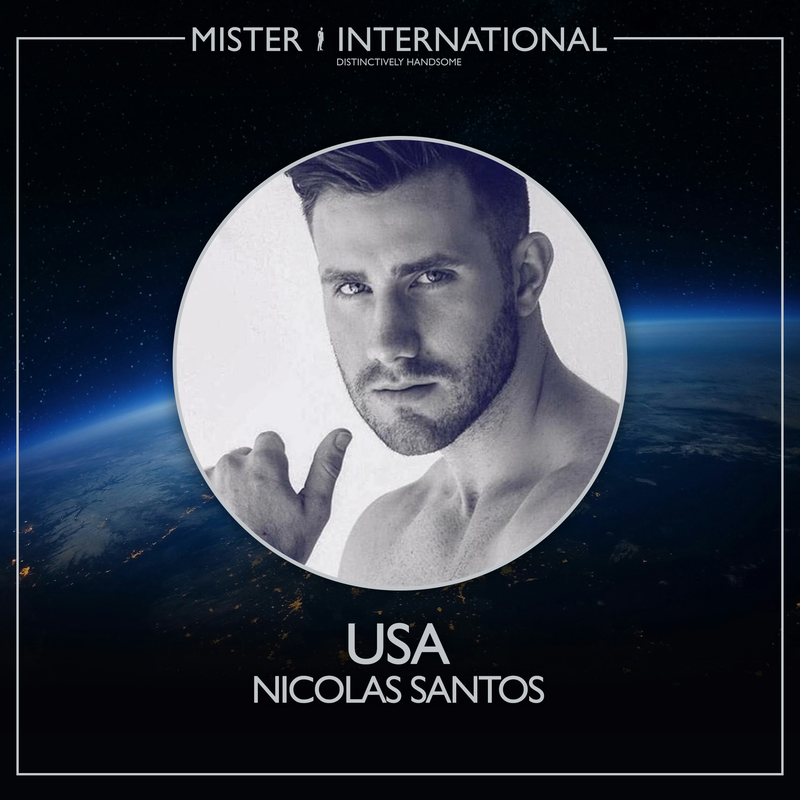 MEET the men who will compete for the title of 13th Mister International on February 24 in Manila, Philippines. 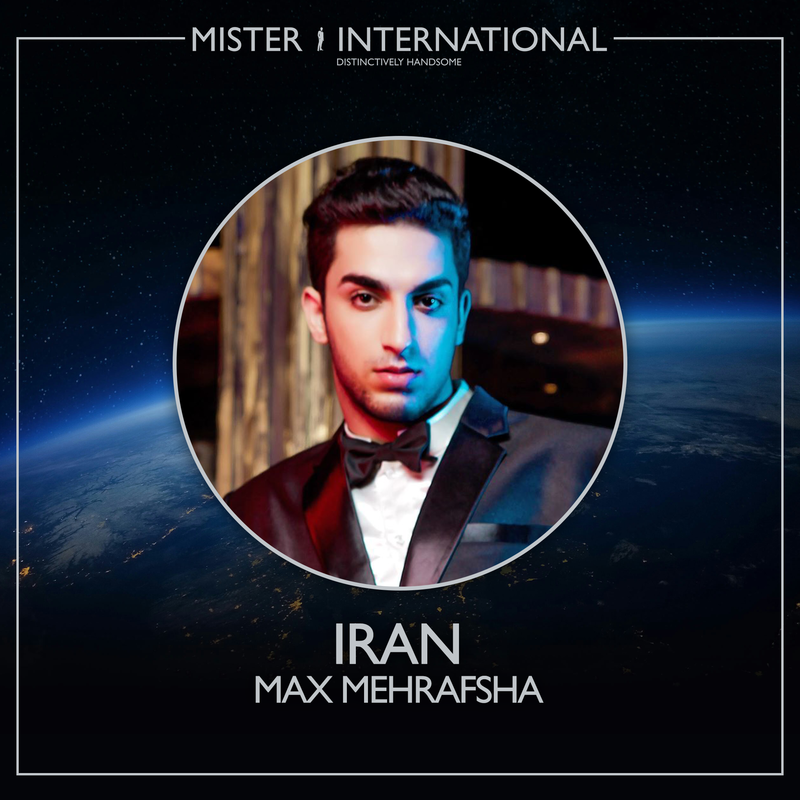 These men from across the globe will travel to compete for the opportunity of becoming the next Mister International. Seung Hwan Lee from Korea will crown his successor at the conclusion of the live three-hour event. 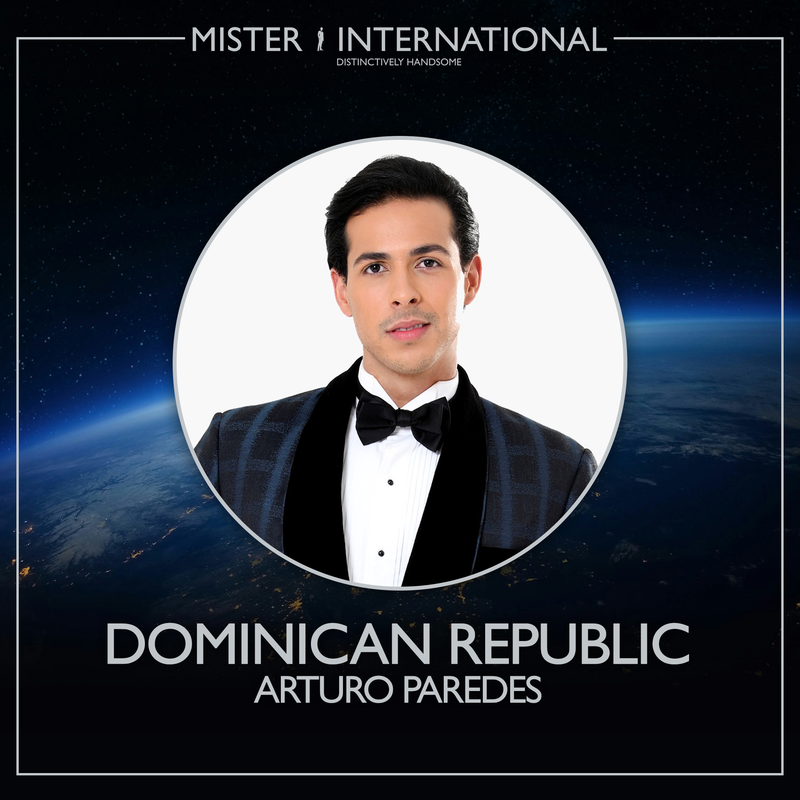 The show will webcast LIVE from One Esplanade in Pasay City on MisterInternational.net. 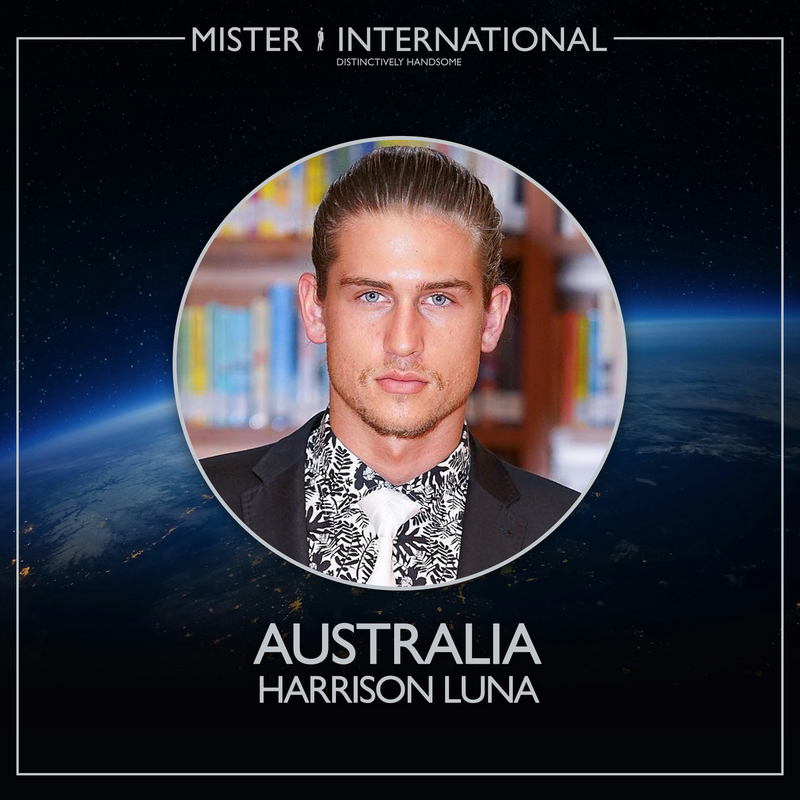 Mister International Australia: Harrison Luna is a 21-year-old actor, model and hospitality professional from Adelaide. He once shot for a global campaign for a sunglasses brand in the mountains of Italy and was blown away by the view. In the future, he hopes to travel the world creating beautiful films and entertaining people from around the globe. 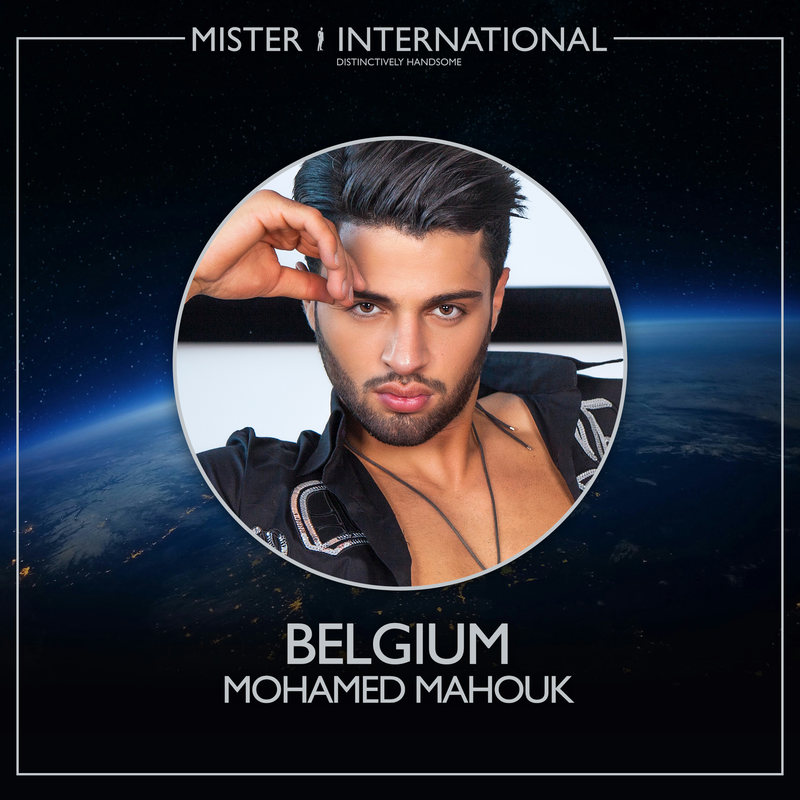 Mister International Belgium: Mohamed Mahouk is a 23-year-old hunk from Temse. He has been modeling professionally since he was scouted several years ago. He enjoys being in front of the camera and performing on stage. He is working on becoming an international model and eventually owning a motivational company. He once worked as a truck builder. 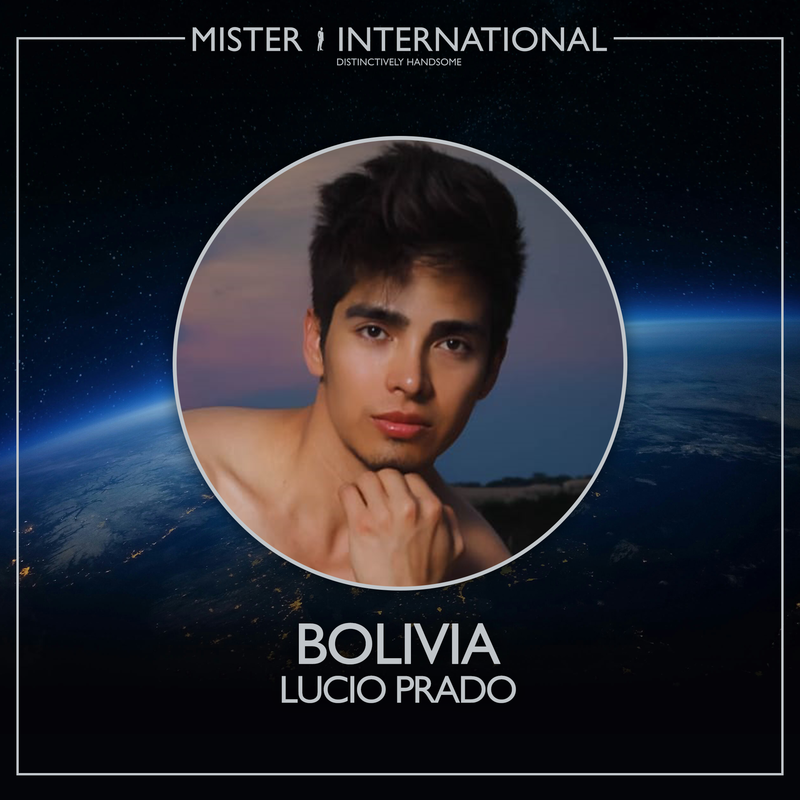 Mister International Bolivia: Lucio Prado is a 29-year-old Santa Cruz native. Lucio traveled for the first time to Germany integrating an American Baroque Choir and Orchestra. But he is most proud he was able to take his mother to see spectacular countries and places. This commercial executive loves healthy food and has been cooking his own meals since young. 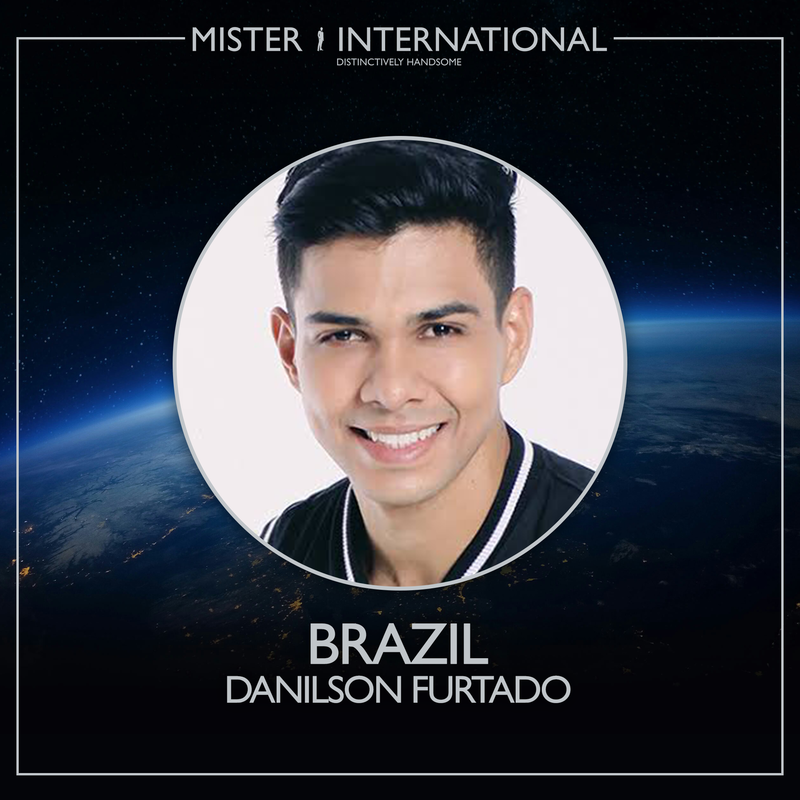 Mister International Brazil: Danilson Furtado is a 25-year-old personal trainer from Castanhal. Danilson is studying exercise physiology. He hopes to eventually get his Doctorate. He has been practicing karate for 3 years and has earned his orange belt. His other passion is basketball. He once worked in an elderly care house where he taught them exercise. 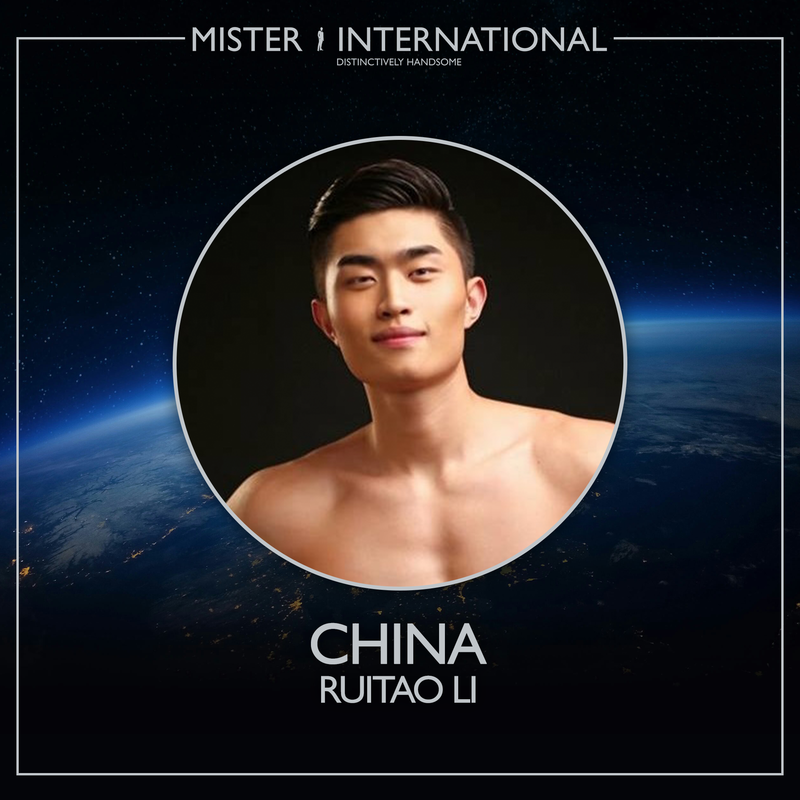 Mister International China: Ruitao Li is a 20-year-old acting student. Ruitao hails from Taian and hopes to become an actor. He is proud to rank first in Act examination at University. His childhood was filled with love and happiness and that was where he learned good values to be a good person. He once waited for more than 24 hours at a train station and received help from some very good people. 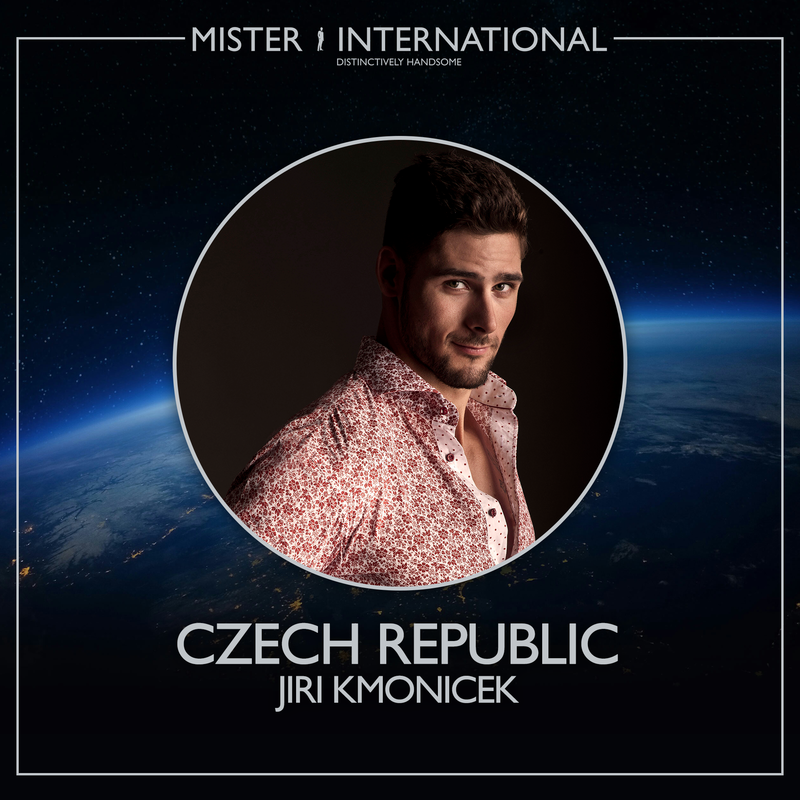 Mister International Czech Republic: Jiri Kmonicek is a 23-year-old stunner from Prague. Jiri feels proud whenever he has the chance to help others and succeeds in motivating them. He considers his biggest positive attribute is his determination. He knows nobody works harder than him in preparing for the Mister International Competition. Mister International Dominican Republic: Arturo Paredes is a 26-year-old hunk from Santo Domingo. Arturo once gave a workshop in front of 500 people. He was so nervous but once he started, he forgot his nervousness. It turned out to be one of the best workshops he had given. He is very proud to establish his company that teaches leadership, teamwork and empowerment when he was 20. He hopes to turn it into the number in experiential workshops and empowerment in Latin America. 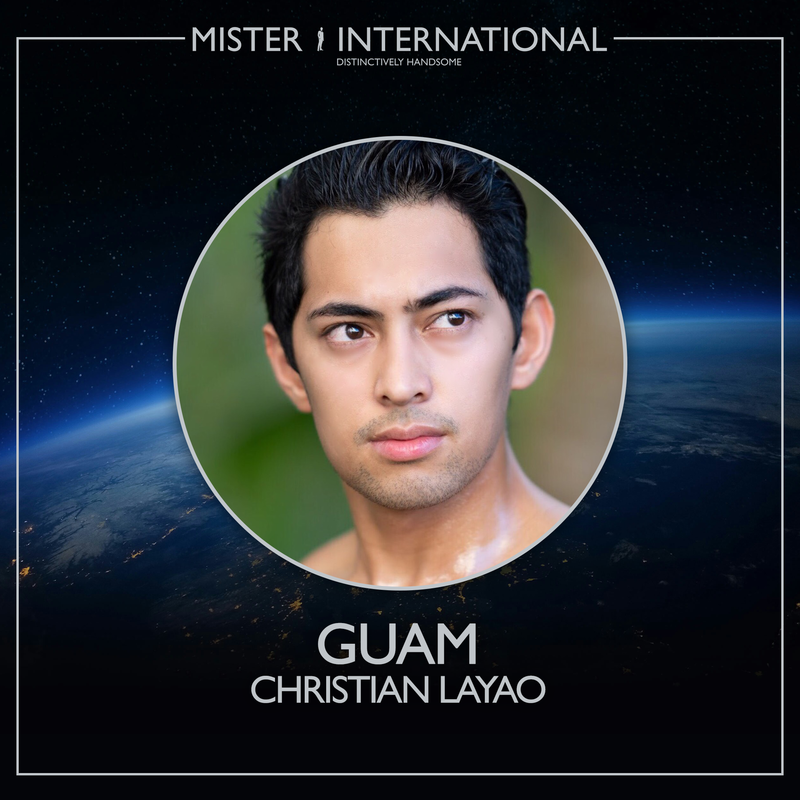 Mister International Guam: Christian Layao is 22-year-old stunner from Yigo. Christian is grateful to grow up in Guam where he shares a close bond with his family, cousins, relatives and friends. He currently studies Administration of Justice and hopes to work in the Federal law Enforcement Against Drugs. He has never thought he would join the Mister Guam Competition, let alone winning the title. With the popularity and attention, he vows to stay grounded and humble. 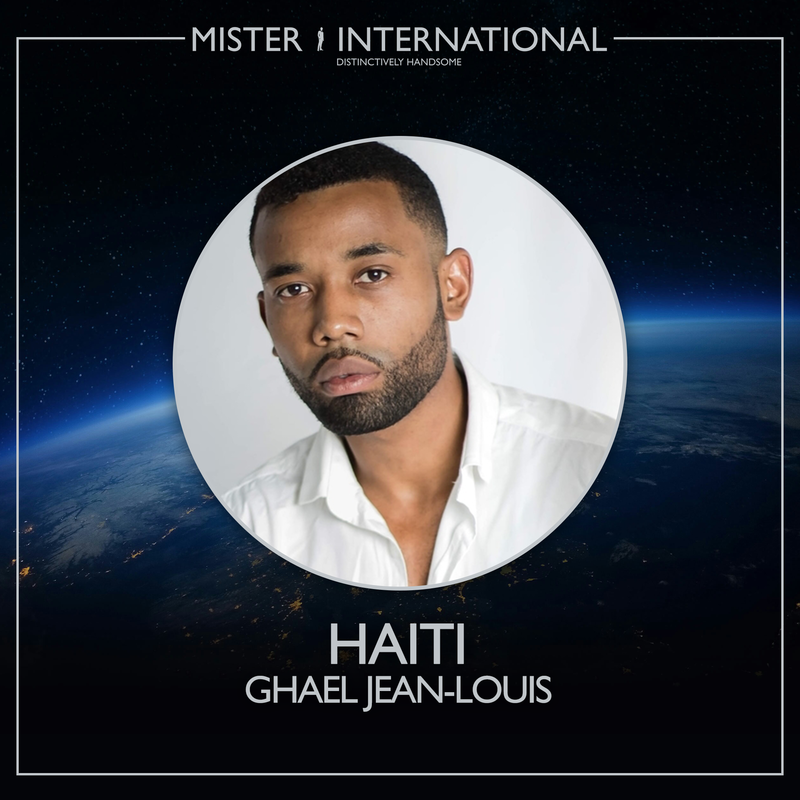 Mister International Haiti: Ghael Jean-Louis is a 23-year-old model. Ghael was a survivor of the 2010 earthquake that brought great damages to his country. He assisted his doctor father in helping the injured victims. Although opportunities are few and life may be difficult for him, he does not use it as an excuse. In fact, it drives him to go farther in life in achieving his goals. 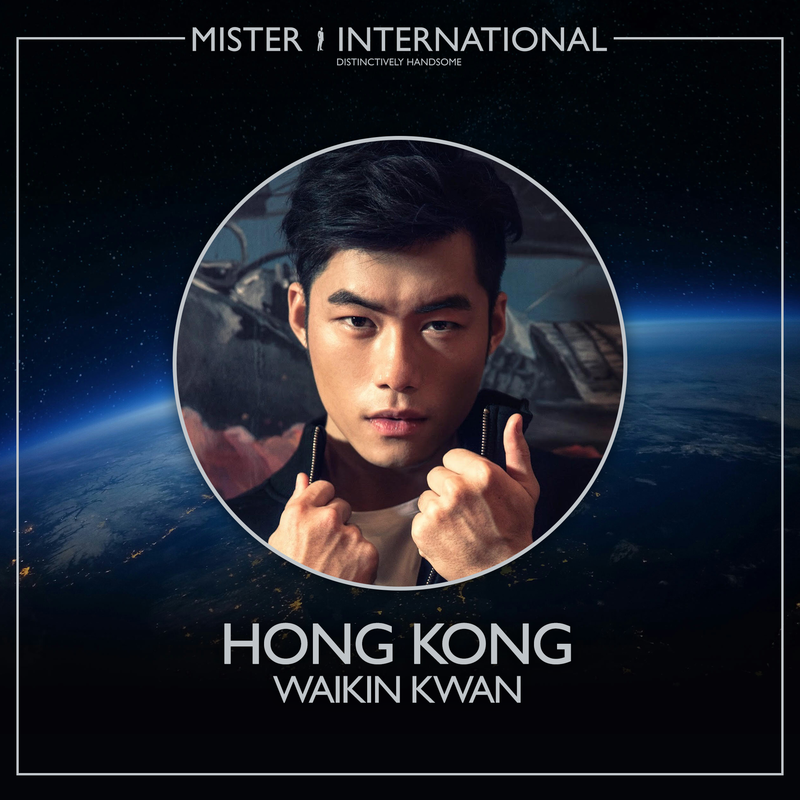 Mister International Hong Kong: Waikin Kwan is a 26-year-old personal trainer. Waikin once fell so sick after a modeling assignment and was sent to the hospital. While waiting at the emergency room, some staff went over to him to ask for photographs. He was professionally trained in basketball and intends to become an entrepreneur in the fitness industry. 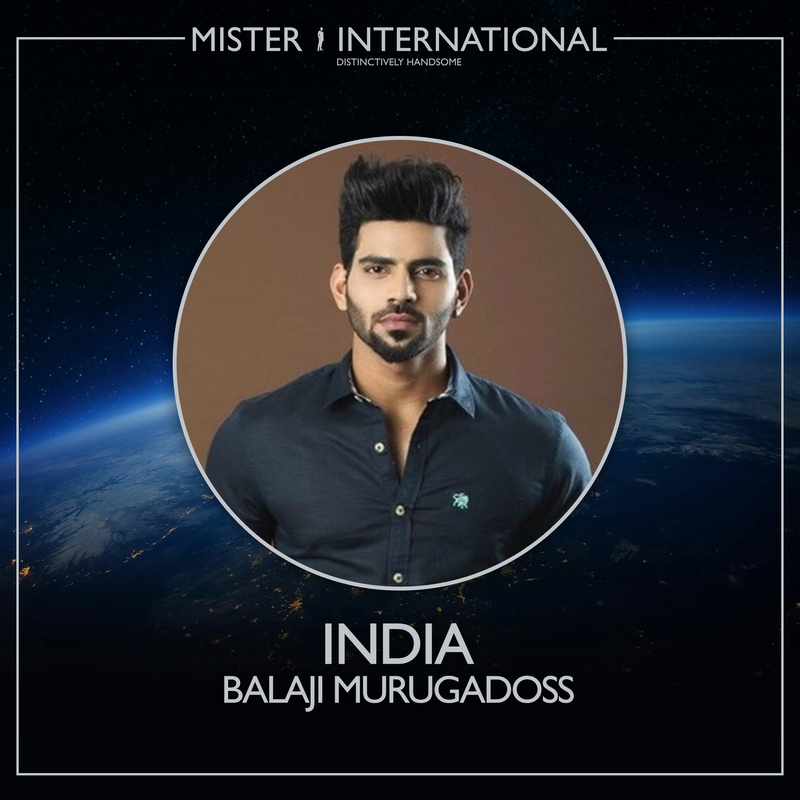 Mister International India: Balaji Murugadoss is a 23-year-old entrepreneur from Chennai. Balaji started event management at 19 years old. It taught him the importance of client relationships. He grew up without smartphones and internet but spent his childhood playing cricket and kabaddi, and taking care of his grandparents’ cattle. Recently he realized his dream of giving a TEDxtalk. 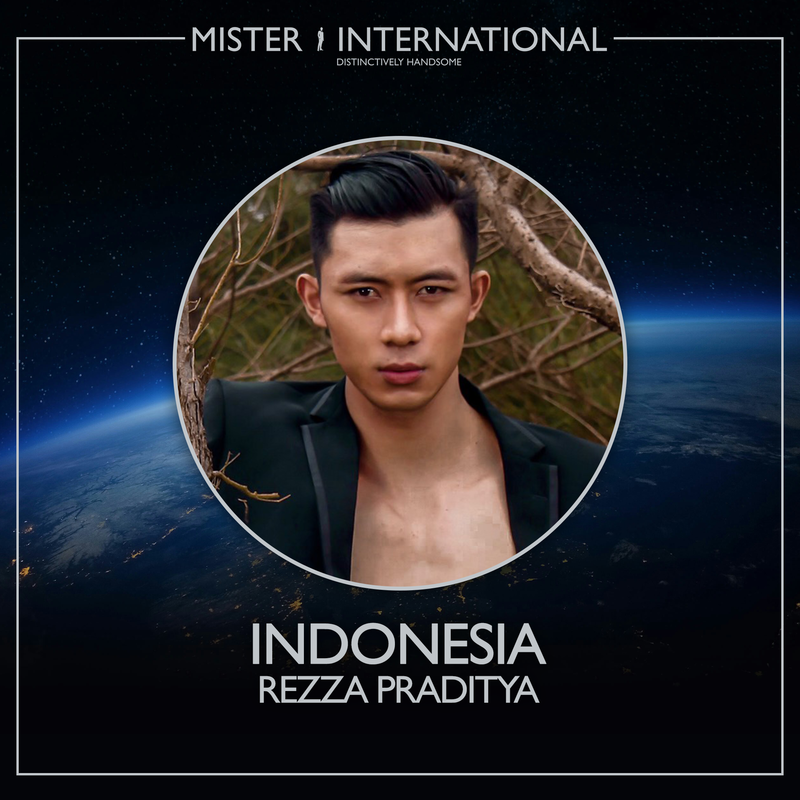 Mister International Indonesia: Rezza Praditya is a 25-year-old hunk from Yogyakarta. Rezza is employed as a supervisor for excellence services. He was raised in a small village called Sarangan where the landscape creates a beautiful scenery. He once work as a tourism ambassador for his region during which he had learned a lot about cultural and tourism destinations of his country. 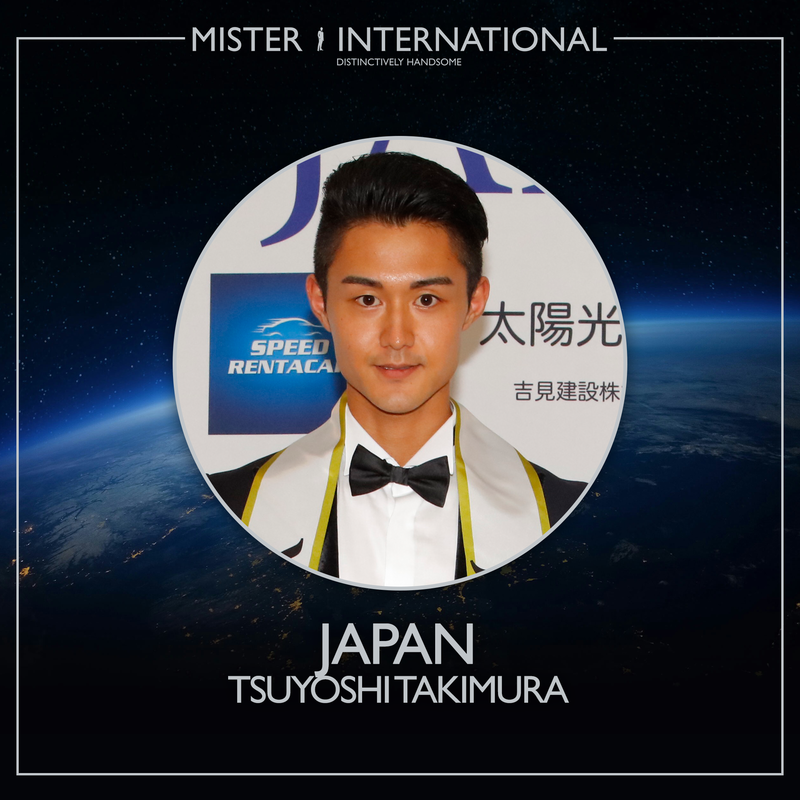 Mister International Japan: Tsuyoshi Takimura is a 22-year-old marketing student from Tokyo. With aspirations to become a famous international fitness model, Tsuyoshi is serious about fitness training and actually lost 10 kilograms for the competition. He works out 6-7 times a week sculpturing his physique to perfection. During his childhood, he played baseball for 11 years. 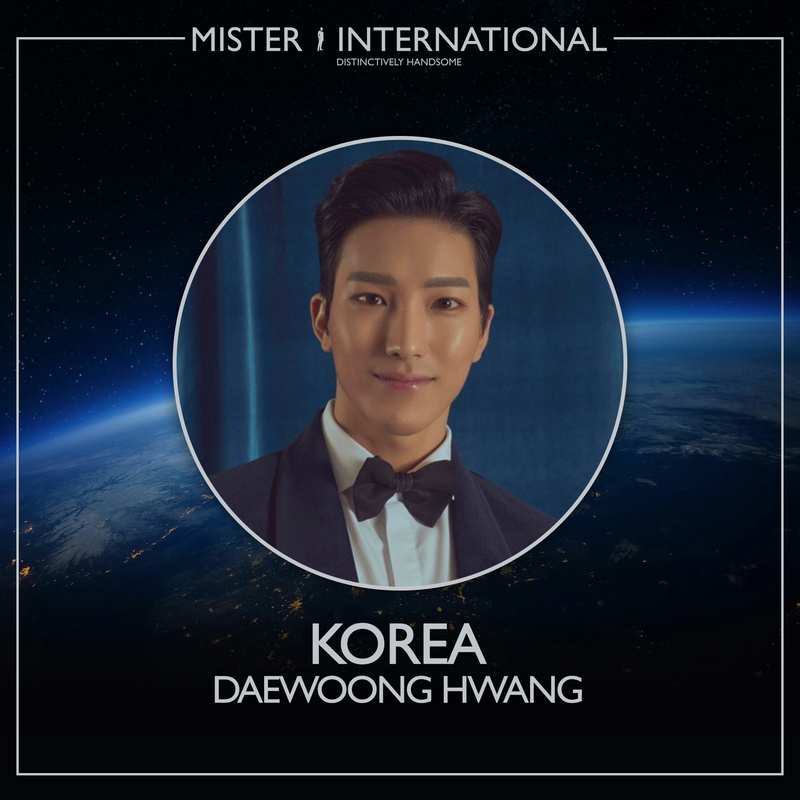 Mister International Korea: Dae Woong Hwang is a 29-year-old firefighter from Seoul. Dae Woong has gone through many challenging moments in life, however, he appreciates that such events have shaped him to become more responsible and mature. Although his job entails many dangerous and difficult situations, he is proud and happy to be able to help people as his motto is “First One In, Last One Out”. 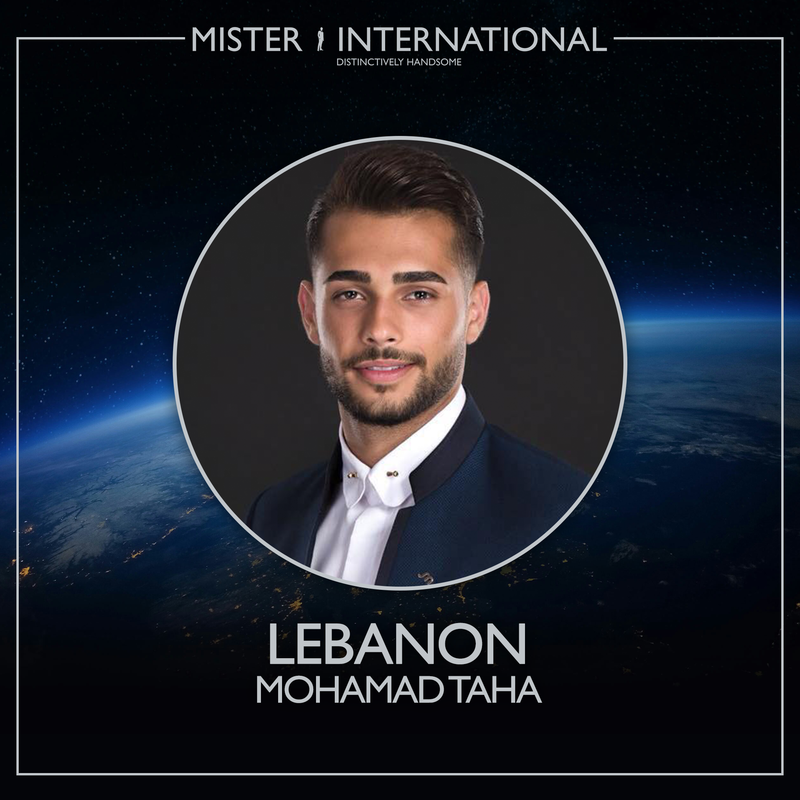 Mister International Lebanon: Mohamad Taha ia a 20-year-old soccer player with the Lebanese national team. Even though he is in the field most of the time, he tries to explore other opportunities like modeling and acting. He also volunteers his free time working with children with cancer. 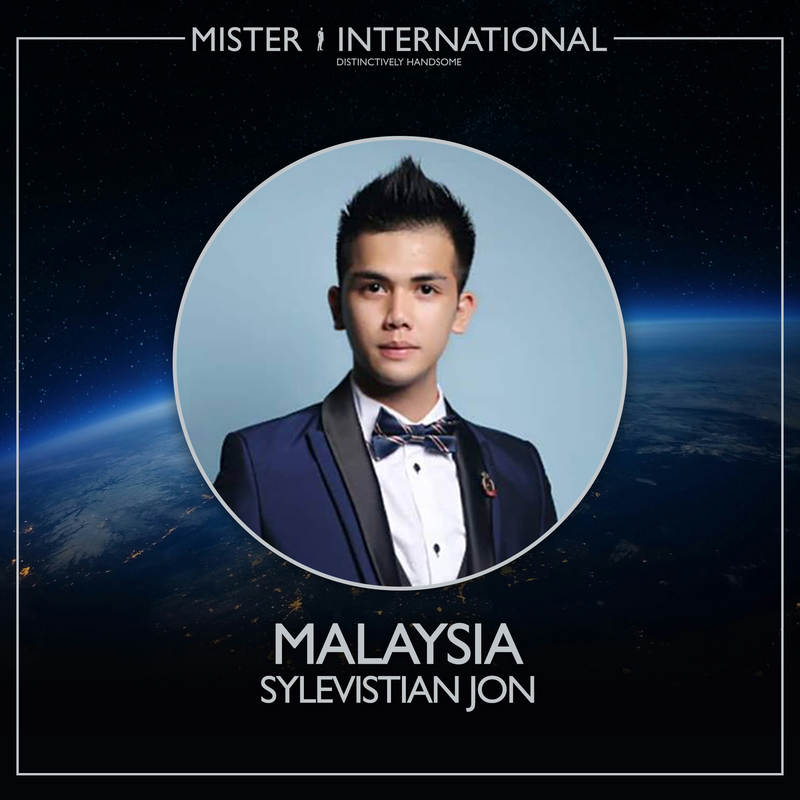 Mister International Malaysia: Sylevistian Jon is a 21-year-old immigration officer from Belaga. Sylevistian is a skilled cultural dancer and singer who has won several awards in national cultural festivals. His ambition is to become a successful model and businessman. 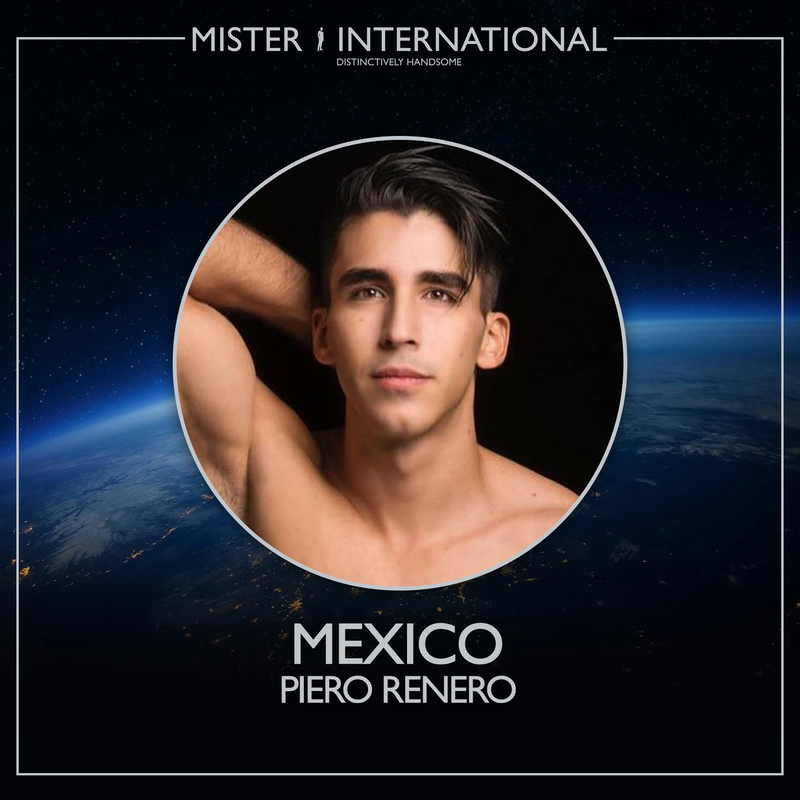 Mister International Mexico: Piero Renero is a 23-year-old International Business student and model from Puebla. Piero volunteers at an association for kids with leukemia. He also contributes his effort in time of needs in his country. He is a big fan of cathedrals and is always amazes by the lights, ornaments, history and faith. He hopes to eventually become a businessman. 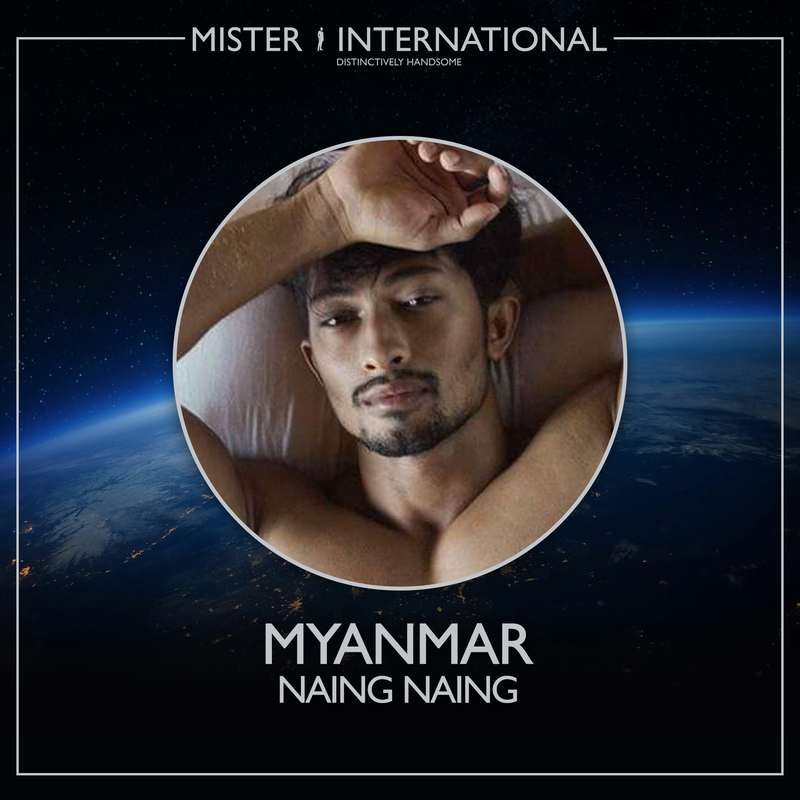 Mister International Myanmar: Naing Naing ia a 28-year-old fitness fanatic from Yangon. His passion for the fitness industry influenced him to advance into a career in fitness and nutrition. During his free time, he indulges in arts, music and dance, and volunteering at charitable events. Mister International Nepal: Prashant Jung Shah ia a 23-year-old hunk from Kathmandu. After attaining his degree in Banking and Insurance, he hopes to become a successful banker. 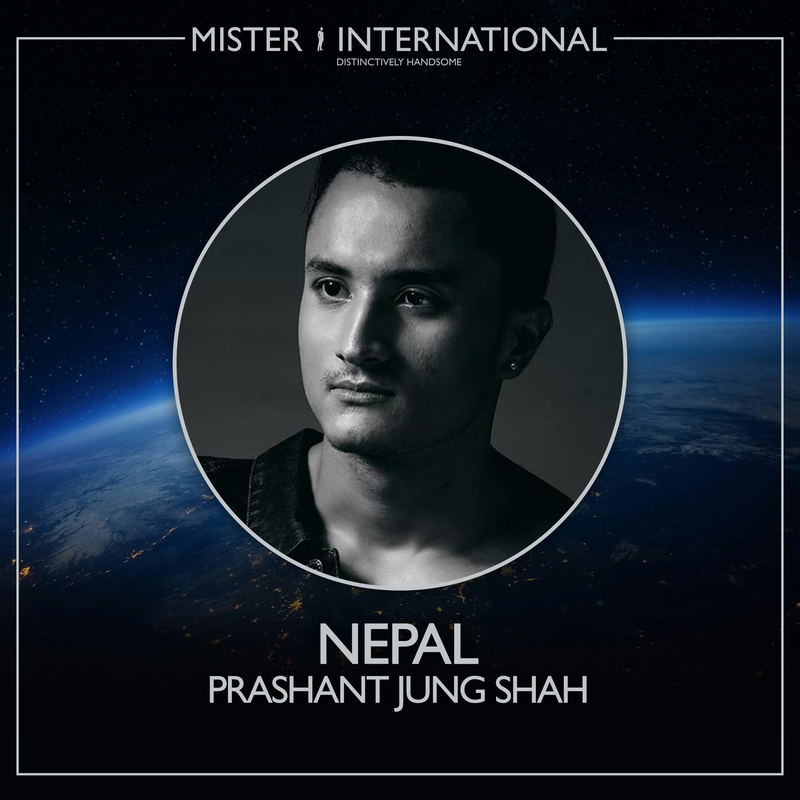 It is his first time out of his country and he considers this trip as not ordinary as he is representing Nepal in the Mister International Competition. 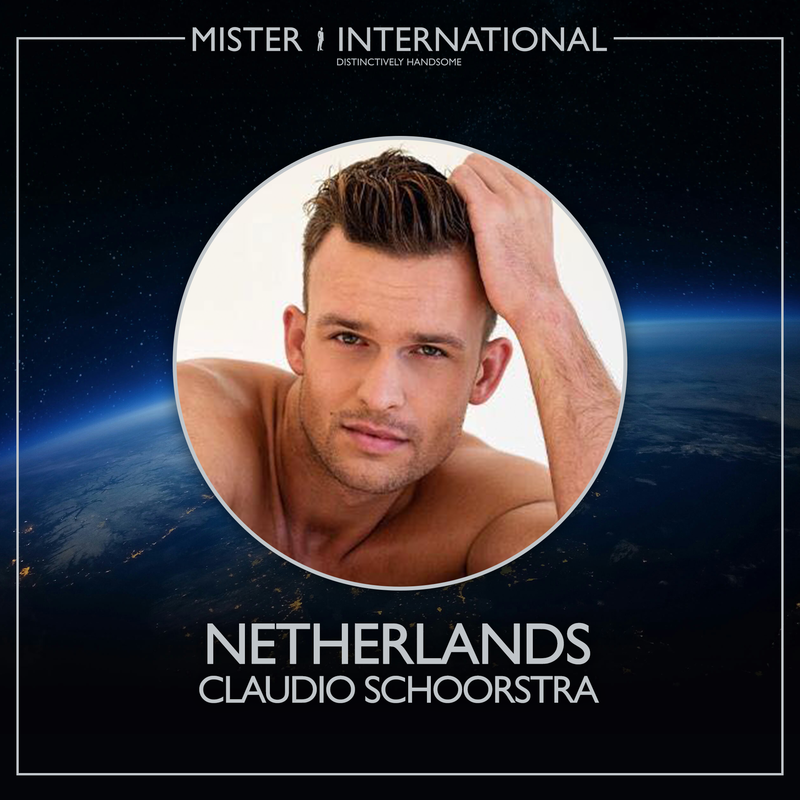 Mister International Netherlands: Claudio Schoorstra is a 22-year-old hunk from Amsterdam. Claudio is proud to serve in the Dutch Royal Military Police. He hopes to promote in ranks in order to train recruits in the future. He once worked as an actor for an entertainment company. The experience taught him confidence and stage projection that he finds valuable in life. 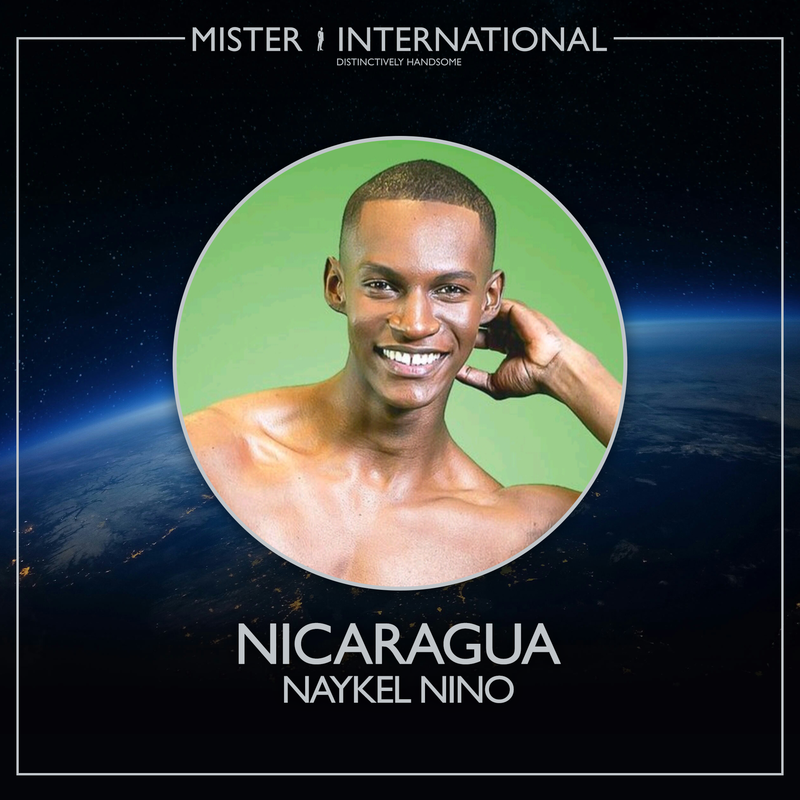 Mister International Nicaragua: Naykel Niño is a 23-year-old model from Managua. Naykel was once part of the national track and field team for 10 years. This hopes to become an ambassador for his country and a diplomat with the United Nations Organization. Coming from a single parent family, he was faced with many obstacles but decided to focus on his studies to become a better person. He also started working at an early age to support himself. 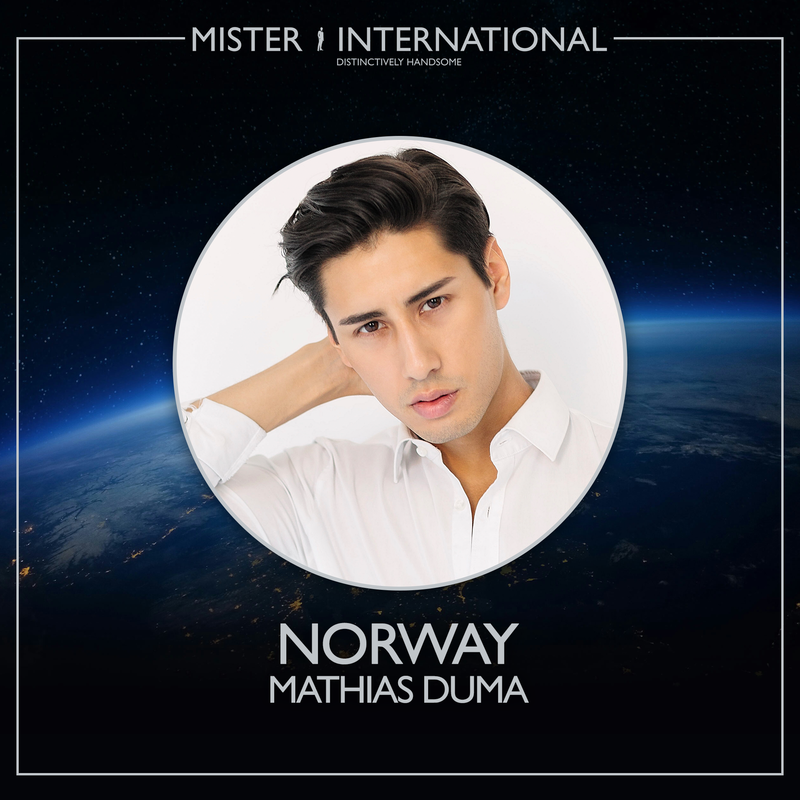 Mister International Norway: Mathias Duma is a 23-year-old professional model and fire security checker from Lorenskog. Mathias wants to be remembered for the things he has done. Despite having a rough past,he worked hard to become a better person. He considers his current job interesting and important as it helps people to be informed about fire security. 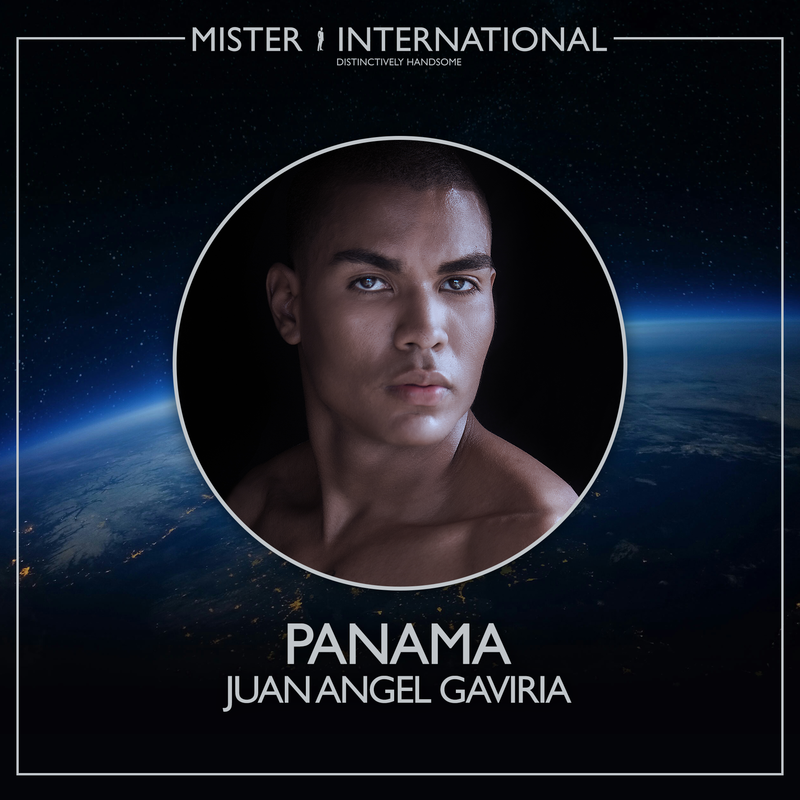 Mister International Panama: Juan Ángel Barragán Gaviria is a 29-year-old model from Colon. When Juan Angel was 10, he made the decision to work after school to help out in his family. Today, he hopes to be a powerful influence for youth from disadvantage families and help them integrate into society. He plans to study law and political science and become a magistrate in the Supreme Court of Justice in Panama. 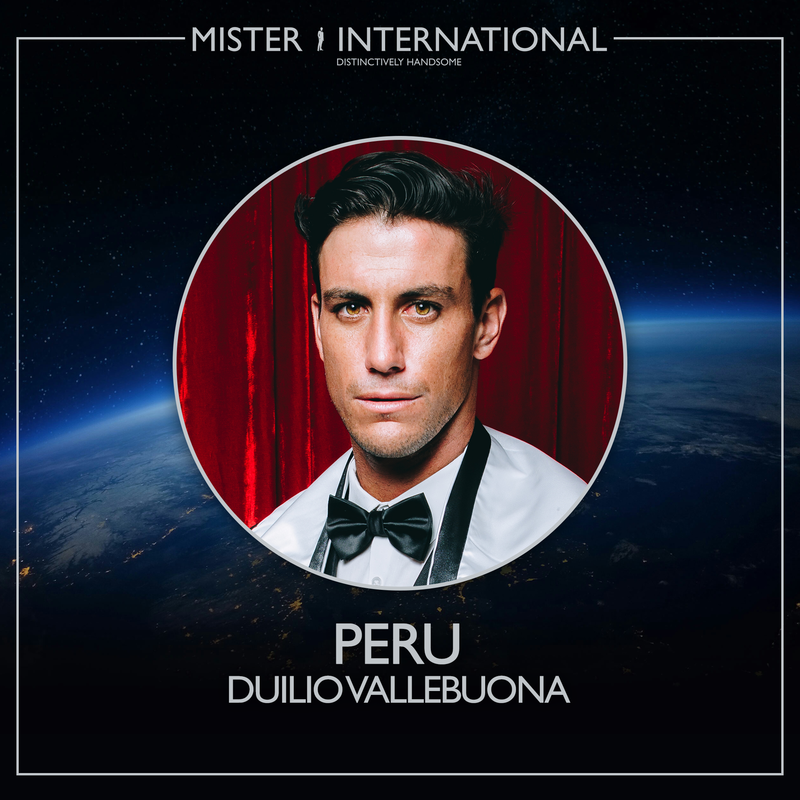 Mister International Peru: Duilio Vallebuona is a 26-year-old business student from Lima. Duilio has been playing professional tennis for 22 years and had represented Peru at the Davis Cup. He feels fortunate as he got to travel the world playing tennis since he was a child. He has also established a foundation for poor children teaching them how to play tennis, as well as a scholarship program in the United States for disadvantaged children. 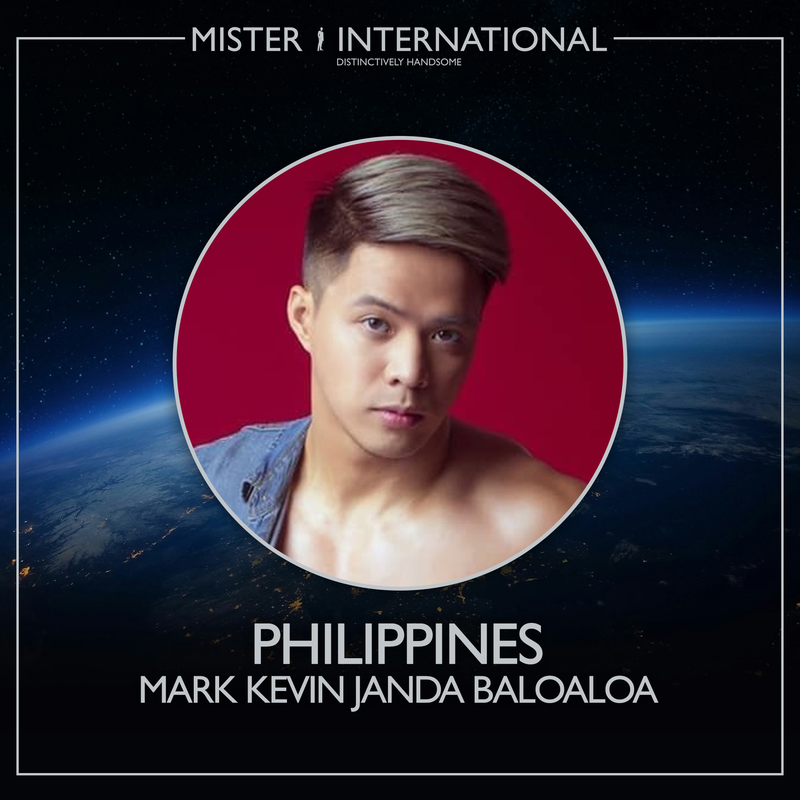 Mister International Philippines: Mark Kevin Baloaloa is a 26-year-old self-employed from Catanauan. Growing up in a humble family, he faced many difficulties and struggles when his father passed away when he was 13. He learned that regardless of your environment, you could still be raised as a good, law abiding citizen. A former varsity basketball player, he regularly conducts free basketball workshops for children where they learn self-discipline, sportsmanship and camaraderie. 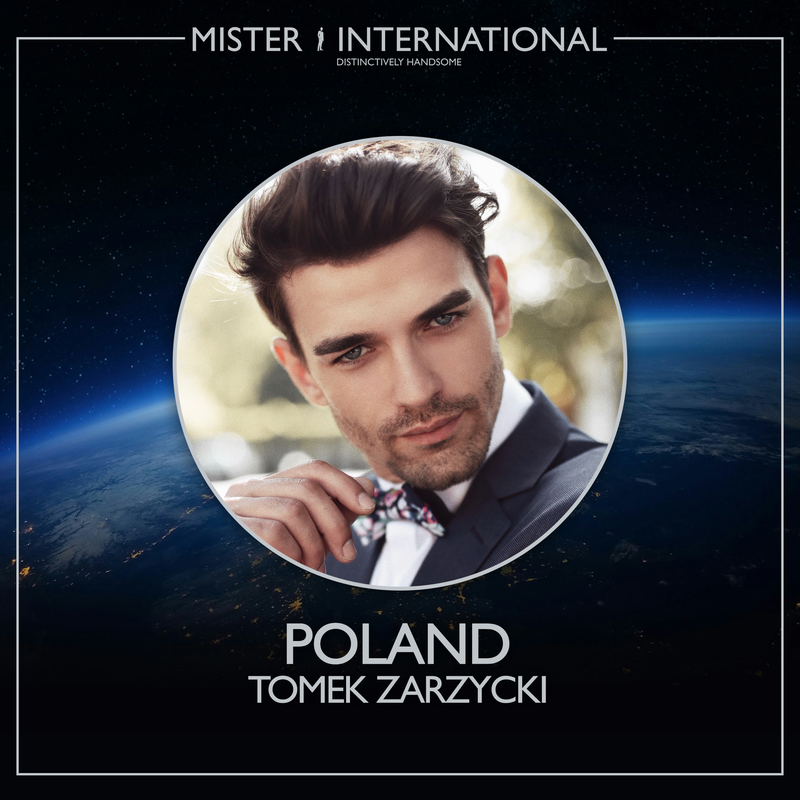 Mister International Poland: Tomek Zarzycki is a 25-year-old model from Lodz. He has appeared in several fashion house campaigns. Despite having a glamorous job, he has also worked in his grandfather’s garage repairing cars and helped in his father’s ecological farm. He has no intention of planning for his future as he believes best things come unexpected. Mister International Puerto Rico: Julian Rivera is a 29-year-old freelance event producer and actor from San Juan. At 21, Julian became a chemical, biological, radiological and nuclear specialist with the United States Armed Forces working against weapons of mass destruction. He plans to become a long term actor and eventually a film producer. He is also taking up violin and piano classes. 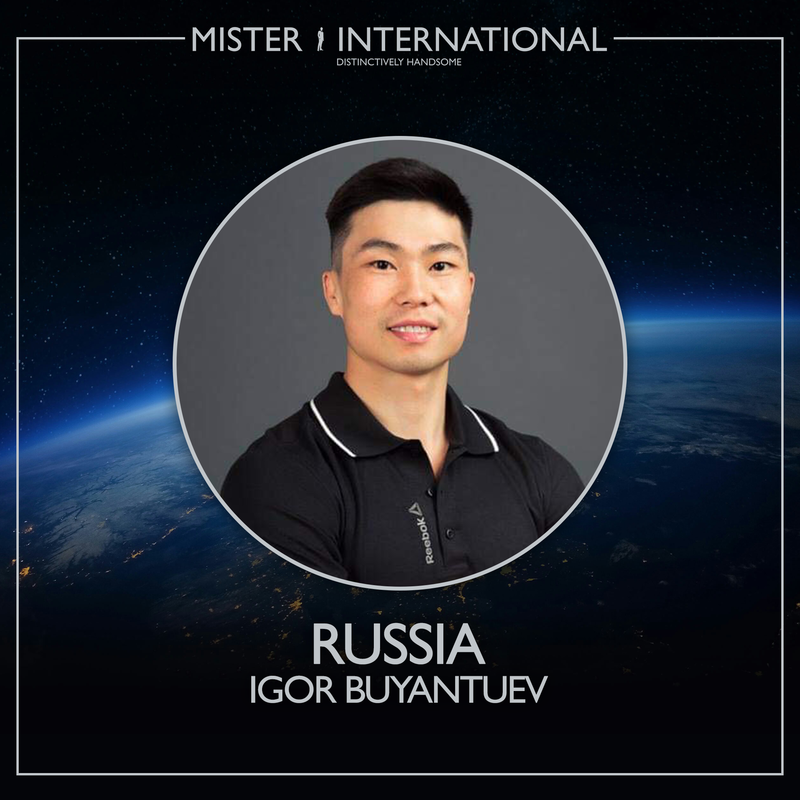 Mister International Russia: Igor Buyantuev is a 26-year-old Tomsk native. Igor is trained in fitness and works as a rescuer. It is a challenging job for him as it involves saving lives from emergencies. However he has plans to embark on a new profession as a professional sportsmen in bodybuilding and fitness trainer. He once served in the military for special forces. 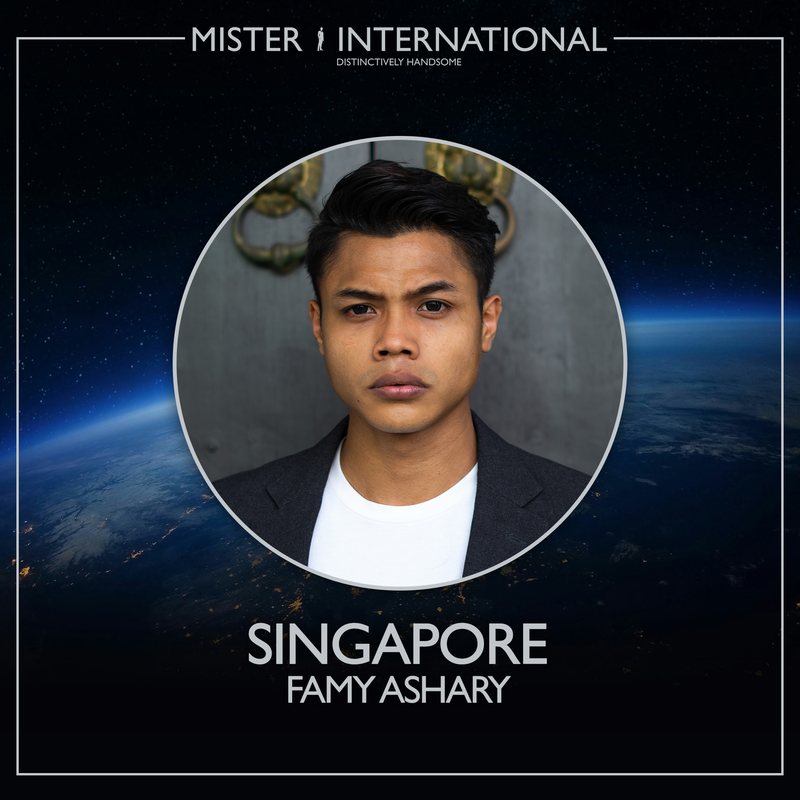 Mister Singapore 2018: Famy Ashary is a 25-year-old AV technician from Toa Payoh. With an ambition to become a filmmaker, he has great interests in vloggin and videography, and has also worked as a photographer. To keep fit, he does calisthenics and gym. He hopes to set an example to people that if one works hard, anything is possible. 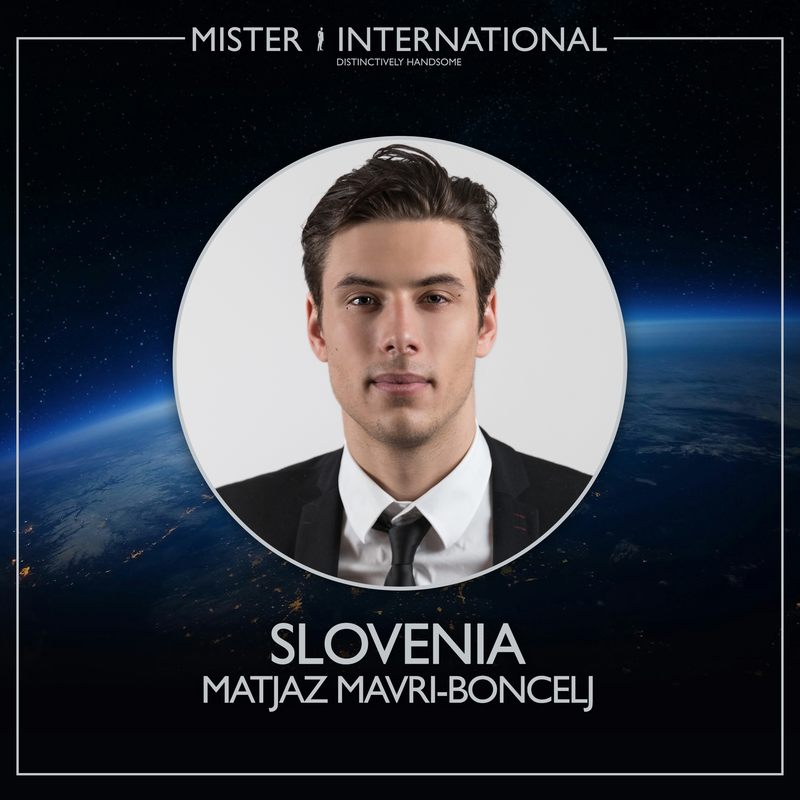 Mister International Slovenia: Matjaz Mavri-Boncelj is a 22-year-old hunk from Trzic. Matjaz considers his stepparents for having the most influence in his life. They taught him that true family bond is not blood related. He treats and respects them like his second parents. He is proud to have finished his bachelor degree. 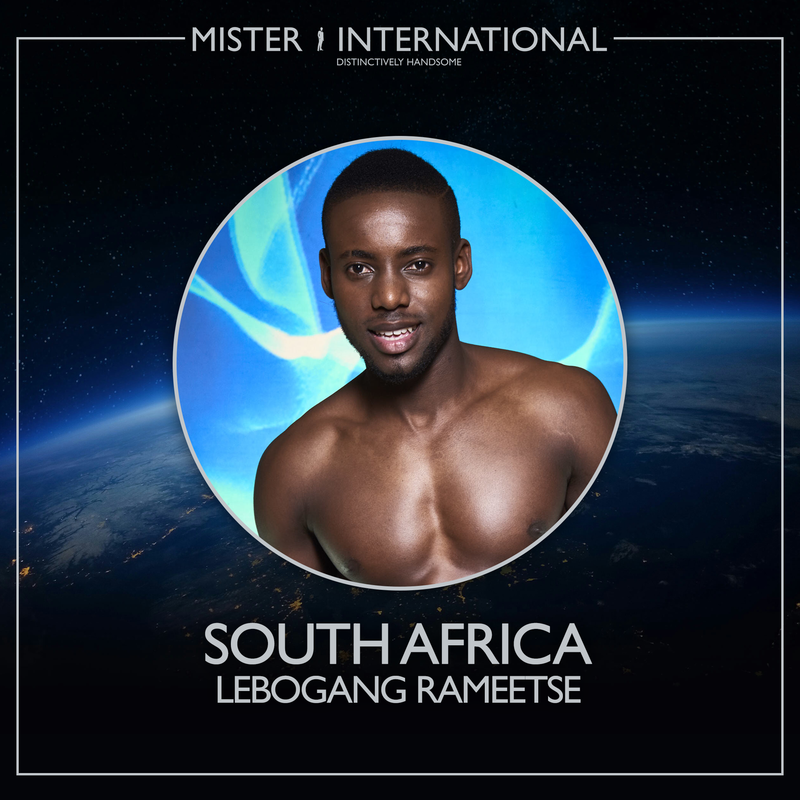 Mister International South Africa: Lebogang is a 27-year-old model from Polokwane. Lebogang is a medical practitioner who was once selected as the sexiest man in South Africa. It got him an interview on national TV and a feature in a magazine and calendar. He hopes to have his own private practice to eradicate malnutrition in disadvantaged villages. Mister International Spain: Jesus Collado is a 26-year-old hunk from Valladolid. Jesus works in television. When he has free time, he likes to spend it with his friends or play basketball and work out at the gym. His childhood was spent playing in the street the whole day. However, after graduation from university, he has set his future sights on becoming a businessman. 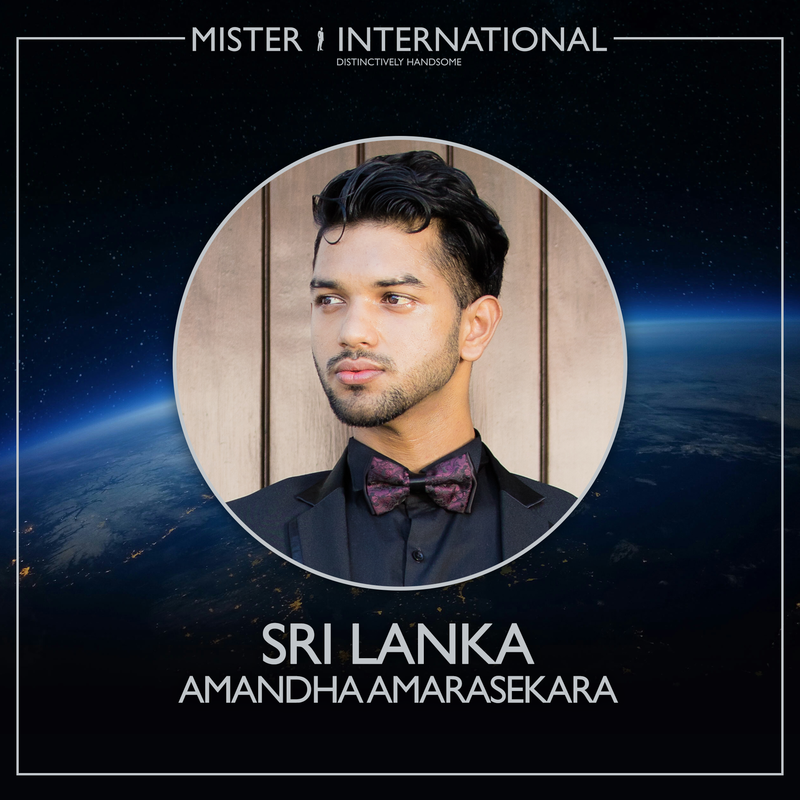 Mister International Sri Lanka: Amandha Amarasekara is a 26-year-old model from Battaramulla. Amandha strongly believes that a person can be anything whatever the circumstances are if he/she has the right attitude. He is proud that he can be financial stable at a very young age and became the youngest assistant brand manager for a firm he works for. He hopes to become a motivational speaker and life coach to help people others their potentials. 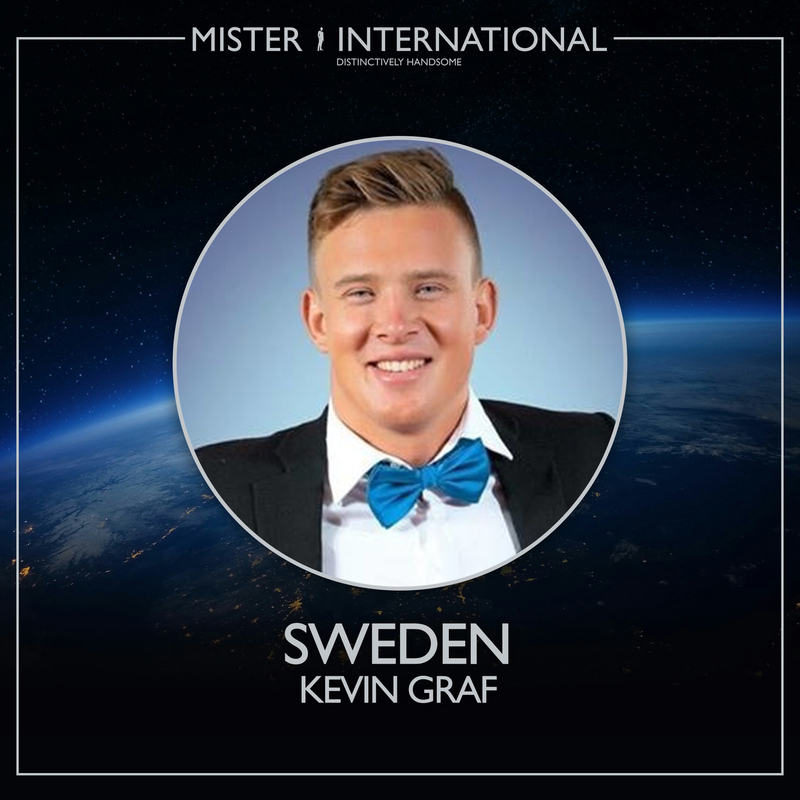 Mister International Sweden: Kevin Graf is a 22-year-old Gottenburg native. Kevin grew up on a small island where there were no cars. Even though life was simple, that did not stop him from becoming a coast guard. He currently works in sales and is especially proud to own his own apartment. 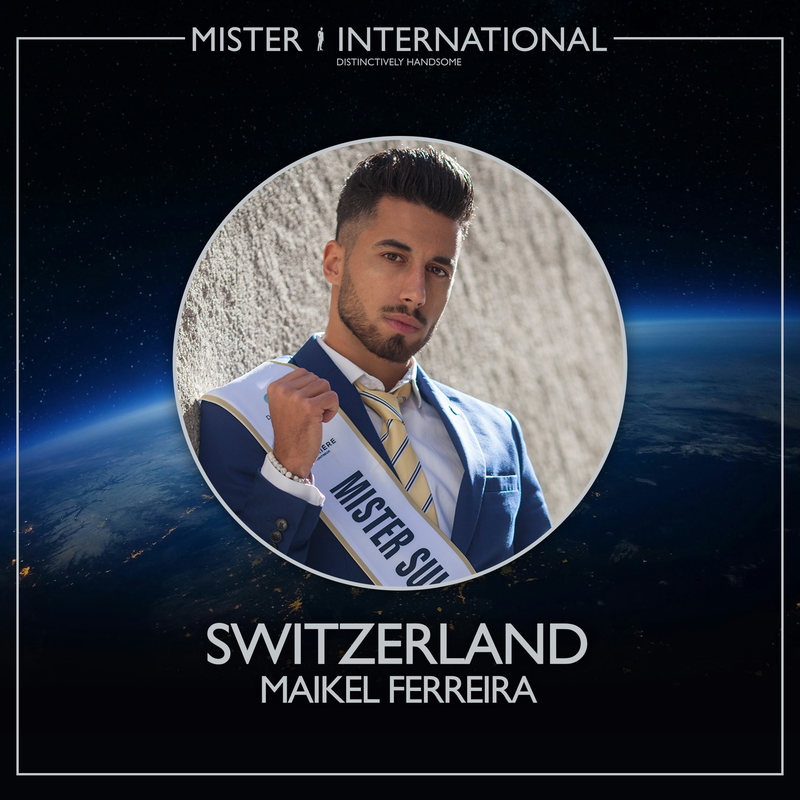 Mister International Switzerland: Maikel Ferreira is a 25-year-old stunner from Lausanne. Maikel was born in Portugal and spent the first 16 years of his life there before migrating to Switzerland. He wants people to know that he is a happy person who is always smiling and enjoying life to the fullest. Since graduation from cookery school, he is working hard to become a chef. 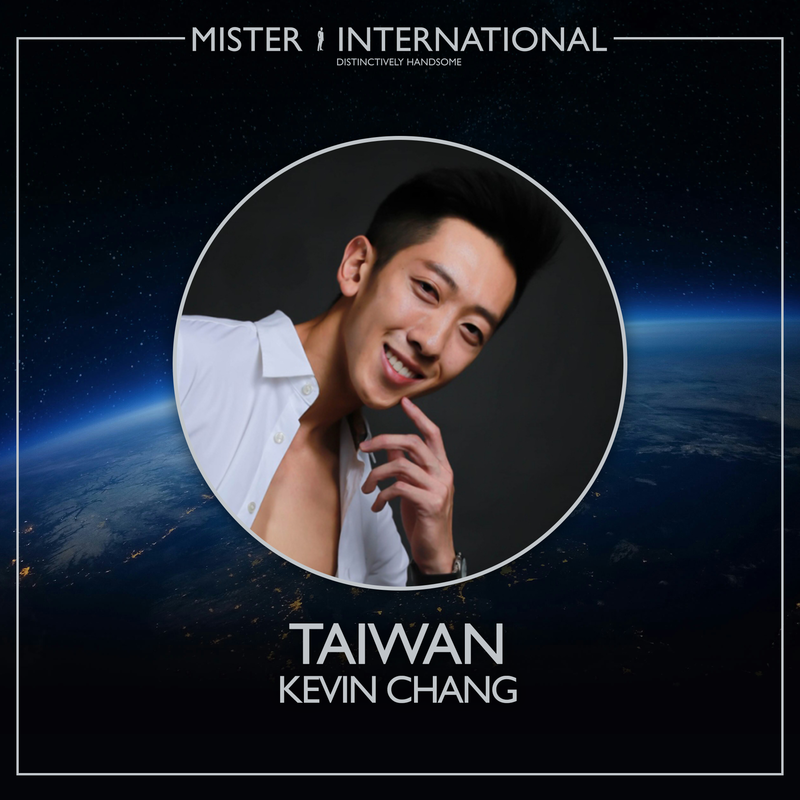 Mister International Taiwan: Kevin Chang is a 26-year-old native of Taoyuan. Having graduated from Canada, Kevin’s career ambition is to get more social media exposures and gain social influence in order to help others in need. He feels his greatest accomplishment is working with artists in television and movies. 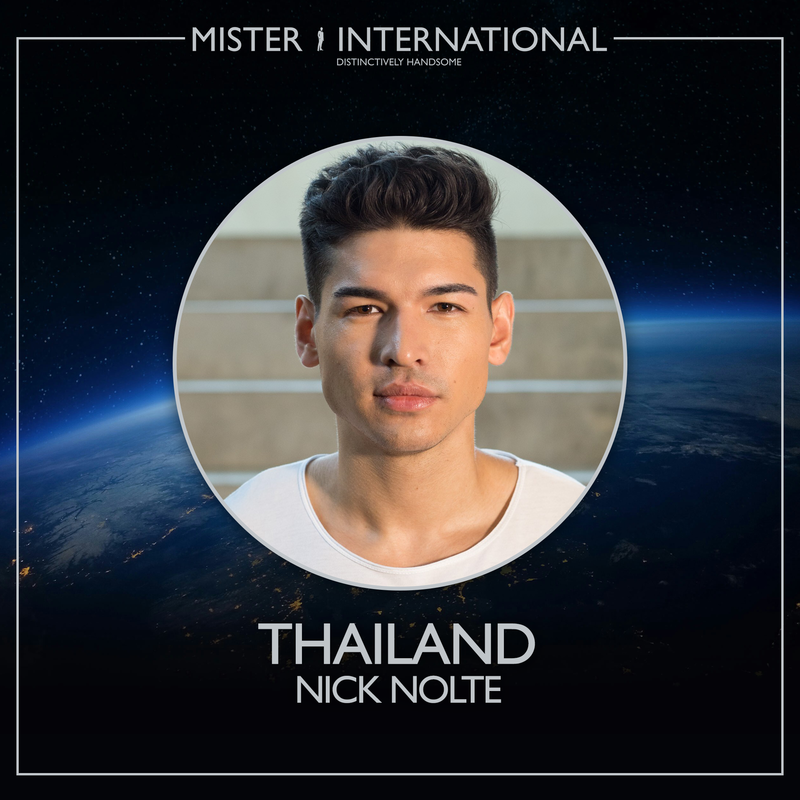 Mister International Thailand: Nick Nolte is a 27-year-old model from Bangkok. Nick was born and raised in Germany before moving to Thailand. Besides his Thai heritage, he also has a strong German mind and culture. Currently he is working as a Management Assistant and model, and hopes to advance in both industries. When he is not working, he volunteers at the kids English camps. Mister International USA: Nicolas Santos is a 24-year-old hunk from Miami, Florida. Growing up in four different countries, Nicolas was able to learn about different cultures and adapt to different places and people. He was always involved in sports and arts from a young age that eventually progressed into an acting career spanning seven years. This opportunity afforded him to travel the world doing theater and TV. Mister International Venezuela: Francesco Piscitelli is a 21-year-old Fitness and Nutrition student from Maracay. His childhood was spent in both Venezuela and Italy where he grew up in a loving family that taught him good principles and values. He most admires Walt Disney because of his life experiences that has influenced him in a very positive way. 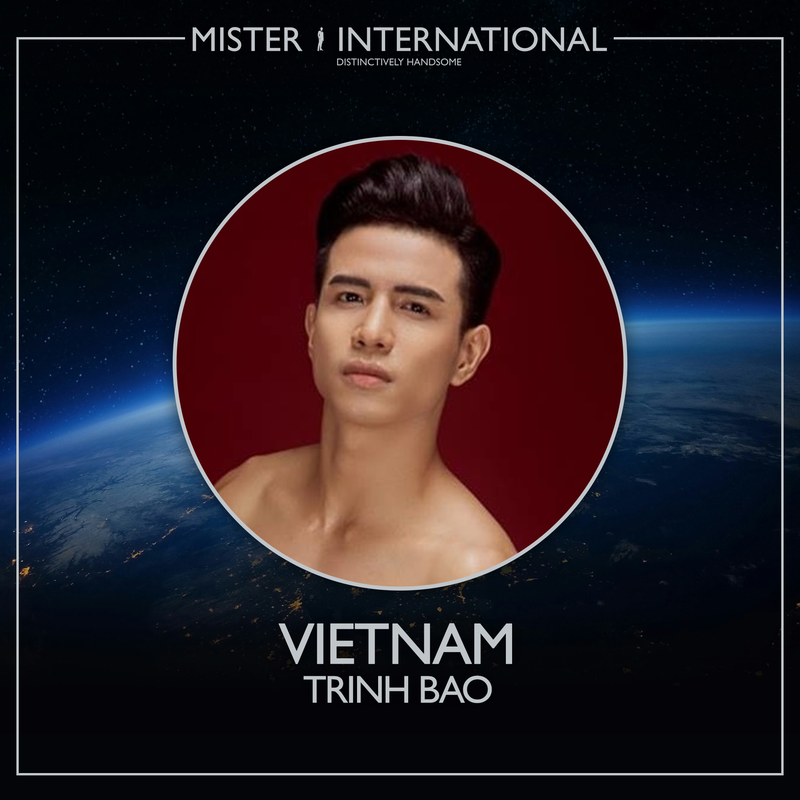 Mister International Vietnam: Trinh Bao is a 24-year-old model and gym coach from Ho Chi Minh City. He was raised in Ha Long Bay where most of his childhood was spent at the beach. He especially loves beach soccer and swimming. With a background in music and drama, he hopes to pursue a career in acting, and eventually business. He describes himself as funny and friendly but also confident and brave.